Congratulations to winners April Rogers, Debra Norton, and Patti L! It's giveaway season here at ATP so be sure to check in each Monday to see the latest offering. 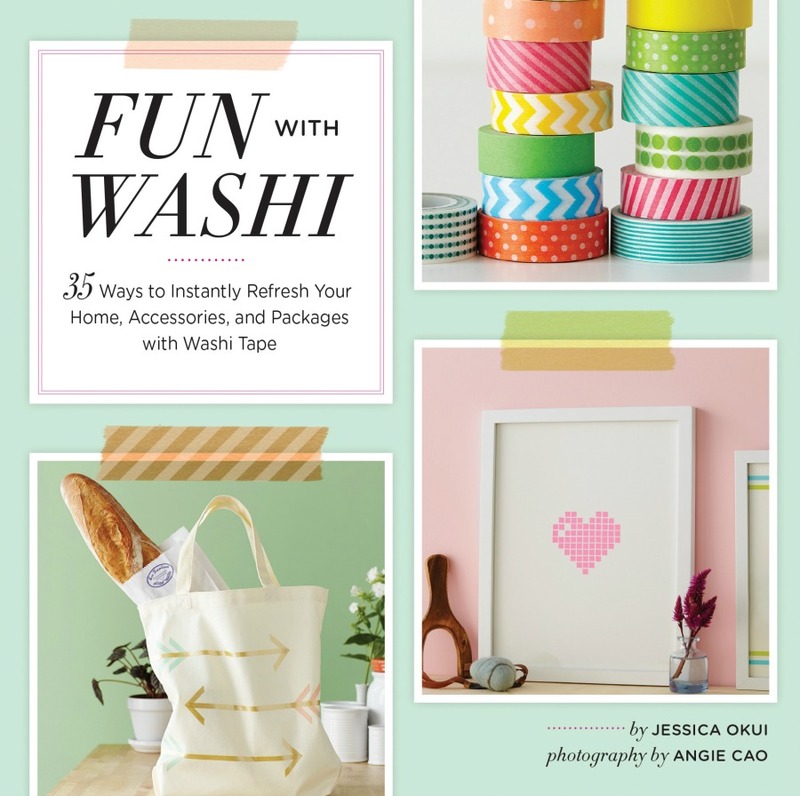 First up is Zakka Life blogger Jessica Okui's new craft title, Fun with Washi. This handy little book, measuring only about six inches square, has 128 pages filled with clever, modern projects. You'll find novel uses for all those tantalizing rolls of paper washi tape you may or may not have already been tempted to purchase. 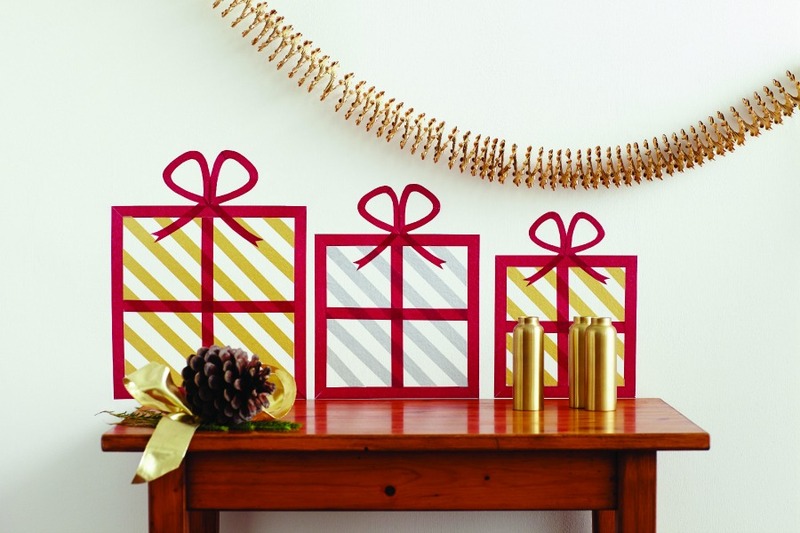 Included are home decor, accessory, stationery, and party/present wrapping ideas. Quite a few of the 35 projects would be ideal to make and give as holiday gifts. The beautifully photographed book starts off with a thorough section on Materials & Tools and another on Techniques. 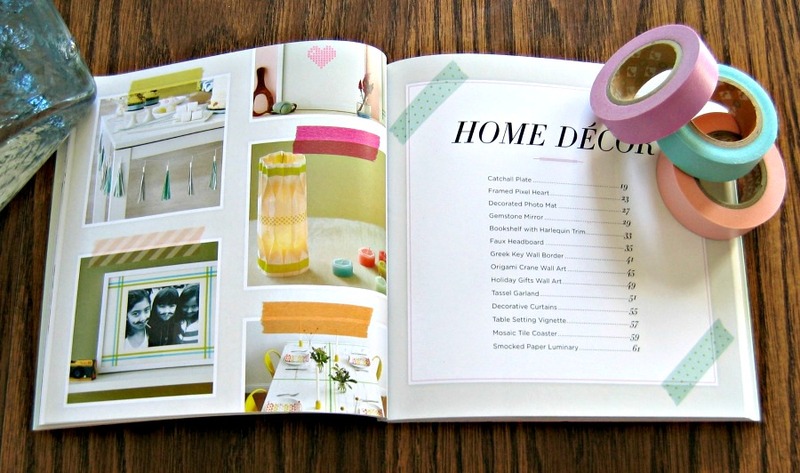 Here's a sampling of the Home Decor Table of Contents. 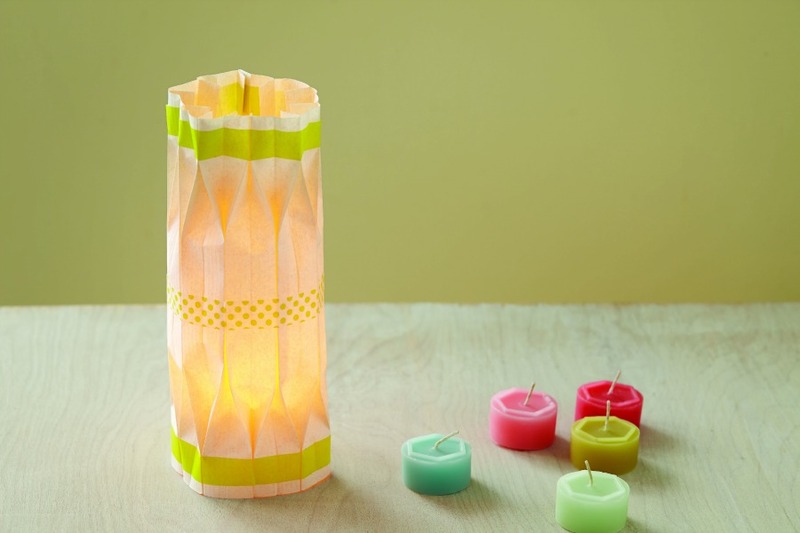 Jessica's smocked paper luminary and several examples of washi tape wall art are some of my favorites. Step-by-step text directions detail each project; there are helpful diagrams where needed. True Japanese washi tape is low-tack, making it ideal for use on walls. A standout is a faux headboard line drawing... a casual, but effective substitute for the real thing. And how neat are these temporary Christmas gifts! 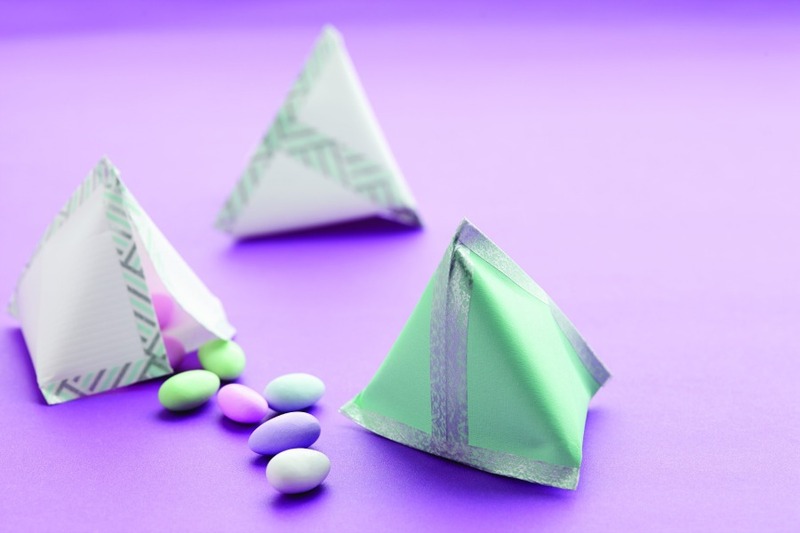 Chronicle Books will be sending Fun with Washi to three winners in the U.S. or Canada. Just leave one comment as your entry through Sunday, November 9, 2014. Please include an email address or another way to be contacted within your comment, as Blogger does not allow me to see the top portion of the comment form. Winners will be selected by a random number generator and announced on this post when all have been notified. Good luck! Ooooooh, I love washi and I'd love to be considered! Thanks for an amazing giveaway! Got to love paper! :p great giveaway!! Would love to use washi tapes! Sounds like a fun book. I love washi tape. Thanks for the opportunity to win a book on one of my favorite embellishments!!! I too would love this book. I have a load of tapes, maybe I could learn some ways to use them. Never heard of this but looks cool! I WOULD LOVE TO WIN THIS. THANK YOU SO MUCH FOR THE CHANCE!! Ooohh I would love to win that. I can see making those faux presents onto cardboard making them mobile. This would be a fun thing to do with the family after Thanksgiving dinner! hrhdeanne at yahoo dot com. Haven't tried Washi yet, but love to give it a try. Thanks for such an amazing offer. I love Washi. Count me in. oh what fun! the book looks like it's full of fabulous ideas!! would love to win a copy! Looks like a fun book...thanks for the chance to win it! This looks like a great little book! Love Washi and use it on so many things...would be great to get more ideas. cockermama at gmail dot com. I would love ideas of what to do with all my washi tape! Have been wanting to play with Washi Tape, what a perfect little book to have to show me how. Thanks for the opportunity. I love Crafts With Washi! I have yet to try Washi tape. This book would be a great start!! Thank you. I have a small collection of washi tape but have not used it much. This book would give me ore ideas for ways to use it. Thank you for the opportunity to win it. Love washi tape - Thanks for the chance! Awesome washi tape I could really do wonderful craft projects with it :D Thank you for the giveaway! I have lots of washi tape - the colours, the patterns, it's like candy! I use mine in my card making but would love to know other uses for it :) Thanks! The giveaway has ended - thanks for your comments. Your tray looks so nice, April... thanks for letting me know!